Performance Self Storage Group Inc. was founded in 2010 by two top self storage investment professionals, Carl Touhey and Jason Allen. PSSG specializes exclusively in self storage brokerage throughout the Country, with a focus soley on the self storage industry. 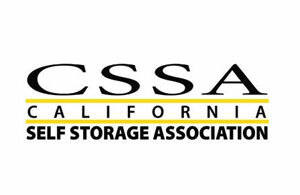 With a combined 40+ years of self storage experience, PSSG founders Carl and Jason have completed over $710 million in self storage sales throughout the state of California and are called upon experts by mom and pop operations to the publicly traded REITs. As well known experts within the storage industry, Carl and Jay are asked each year to speak at several industry events including storage trade shows, boot camps and localized storage meetings. The team at PSSG is dedicated to serving self storage investors with professional unparallel expertise and is committed to your success within the self storage industry. Carl E. Touhey began his real estate career in 1986 selling investment real estate in Phoenix, Arizona. His family built their first storage facility in the early 1970’s and they currently own and operate eight storage facilities. An investment opportunity in 1992 launched him into the self storage industry as he went on to acquire five storage facilities from 1992-1994 and owns multiple facilities today. His interest and success in fixing “problem” properties resulted in an impressive ownership track record. In the early 90’s, Mr. Touhey took his knowledge of the self storage industry and began brokering self storage properties in California. He has personally brokered over $620 million worth of storage properties and his extensive track record and outstanding results have distinguished him as one of the most successful self storage sales and acquisitions specialists in the industry. Jason “Jay” Allen began his real estate career in 1997 working alongside Carl Touhey performing feasibility studies and evaluations, analyzing hundreds of self-storage properties nationwide. Jay is extremely well versed in all areas of self storage brokerage, investment, management, marketing and consulting. Jay co-founded Performance Self Storage Group Inc. with Carl Touhey in 2010 and offers self storage brokerage and consulting services to self storage owners and investors nationwide, with a specialization in California. He has been a part of over $620 million dollars’ worth of successful self storage property sales and has also provided marketing and consulting services for over 75+ self storage operations. Jay also co-owns multiple self storage properties in California. 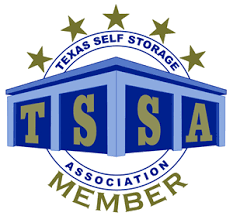 Performance Self Storage Group believes in supporting our self storage community and industry by being a member and sponsor of multiple self storage associations throughout the country. As a member and contributor of the Self Storage Association’s (SSA), California, Arizona and Texas Self Storage Association, our firm is able to attend country wide industry events each year. This allows us to network with owners and potential investors giving our firm a strong national reach and presence. Not only is every member of these various associations in our database (2,000+), our presence at these industry events is known through sponsorship opportunities and networking events which we regularly attend and host.